Making a great all-round PC for 600 quid is a challenge. And recently it’s been even more of a challenge than usual. 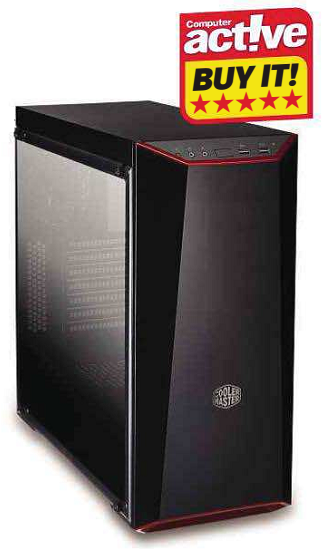 So how can the likes of Palicomp sell you a PC that’s even better than before? Well, it all comes down to the makers of computer processors finally pulling their fingers out. After several waves of chip ‘improvements’ that could only be detected with highly sensitive equipment, late 2017 finally delivered new CPUs (from Intel and AMD) and graphics cards (from AMD and Nvidia) that really moved performance up a couple of notches. So here we have a PC based on an Intel i3, which 12 months ago would have provoked a chorus of indifference. But this eighth-generation Coffee Lake i3-8100 is a quad-core chip which copes with heavy work like photo editing as effectively as earlier i5s, with the same snappy multi-tasking. You won’t get results more than a fraction faster than those i5s from any PC at this price, unless you sacrifice the graphics card and put all your money into the processor, when customising the PC before you buy. The graphics card in this instance is a GeForce GTX 1050 Ti, which has a generous 4GB of its own memory to help keep 3D games and compatible graphics software speeding along. Palicomp has used Asus’s Cerberus graphics card and overclocked it, meaning it’ll run almost any game even more smoothly at Full HD resolution on very high settings and, with a SteamVR score of 3.7, can do reasonable justice to a virtual-reality headset, should you wish to borrow one from someone who’s shelled out for it. 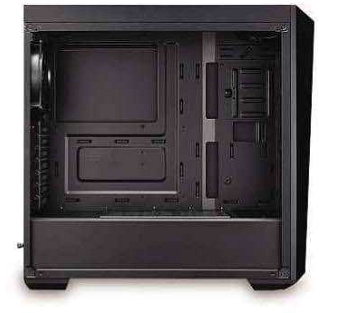 With a full-size Z370 ATX motherboard in the Cooler Master MasterBox Lite 5 case, there’s plenty of room for expansion except for a dearth of drive bays (see image left). All you get included is a 2TB hard drive, so booting up and loading software isn’t especially quick, but you could add a 2.5in or M.2 SSD later.